With the deadline fast approaching, it’s time to gather your best work from 2018 for the California Journalism Awards. Deadline for entries is Monday, Jan. 28. That’s in two weeks. Entry packages for Print and Campus contests – and the new Digital contest – were mailed to CNPA members in November. The Digital contest, with 22 categories, is open to CNPA Digital News Media members and print members. Contest coordinators from last year can use the same login information for the Print and Campus contests. If you have forgotten your password, please use the “Forgot Password?” link on the contest login page or contact contest administrator Simon Birch, (916) 288-6010. If you are managing the contest for your publication for the first time in the Print and Campus contests, please set up your account using the temporary password contained in the entry packages. Contest coordinators at all publications entering the Digital contest will have to set up a new, separate account using the temporary password. Need to make changes or have questions about the contest? Call or email Simon Birch at (916) 288-6010. 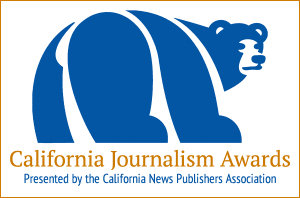 The California Journalism Awards uses the BetterBNC contest system provided by CNPA Allied Member SmallTownPapers, Inc., which provides excellent technical support here.